A police probe is underway after a gang of 10 men stormed a house in Doncaster and damaged the property. The men, believed to have been in their 20s, struck at Staveley Street, Edlington, at 10.25pm yesterday. A South Yorkshire Police spokeswoman said: "Officers responded to reports a group of around 10 men had broken into a property on Staveley Street, Edlington, Doncaster. "The men who are believed to have been aged in their early 20s, are thought have made off towards Edlington Lane. "Damage was caused to the window and door of the property in the incident. "Officers conducted an extensive search of the area and an investigation is ongoing into the incident." 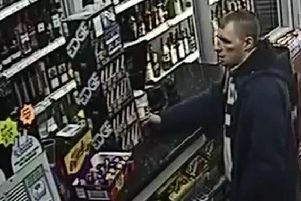 Witnesses or anyone with information should call South Yorkshire Police on 101 and quote incident 1,042 of January 24.